The City of Saskatoon is offering free drop-in skating lessons at locations around the city this winter. No skating experience is necessary! 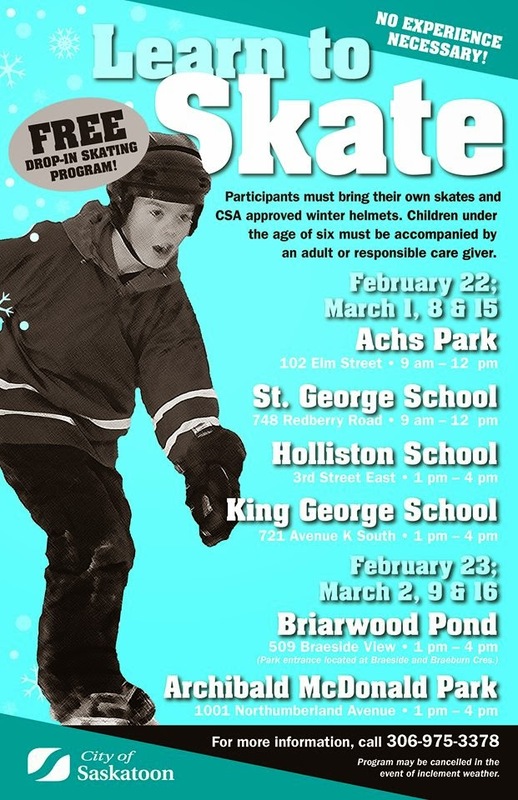 Participants must bring their own skates and a CSA-approved winter helmet. Children under the age of six must be accompanied by a responsible caregiver. See the poster or the Saskmom.com event calendar for dates and locations. For more information, call 306-975-3378 or visit the city web site for full location details. These programs are cancelled March 1 and 2 due to the frigid temperatures.